To B or not to Bb? Or to H? 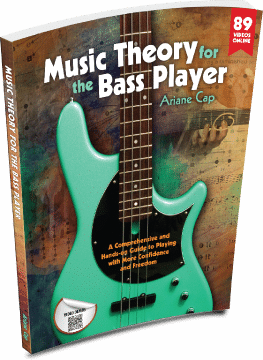 Home / Music Theory for the Bass Player / To B or not to Bb? Or to H? Are you from a country other than the US, where quavers make you quiver (rather than eighth notes), where Do means C, or sharp means “crosse“? Feeling like you need to relearn pretty much everything from scratch as you foray into the land of YouTube videos, international teachings and real books, where the US system is the “standard”? I sympathize. My musical (and otherwise) mother tongue is German. Now, in some countries each note name is entirely different from English – Do, Re Mi… as in Doe that female deer… – and in most countries that would then be so called fixed Do, where C=Do, D=Re, as opposed to movable Do, which we use in the States – regardless of key – for singing instruction and very useful ear training drills! No matter your native musical alphabet, if you have to re-learn the note names first in order to get to the music and teaching, it does throw an additional layer of complexity in, at least in the beginning! …for natural notes are for the most part the same, but there is one pesky difference – namely that B equals H in German and Bb equals B in German. Huh? Yes. Unfortunately. Sharps and flats also have different names, but those are not too hard to relearn. The German sharps and flats feature the addition of a syllable (“-is” for sharps and “-es” for most flats, with that dang “B” again being one of the exceptions), so for example F-sharp is simply “Fis”. I love that for my note-name-saying drills on the bass, though, as saying one syllable (Cis)is just so much faster than two (C-sharp)! So I end up with a mix of German and English, then, saying the German sharps and flats and the US natural note names. With the exception of course being that dreaded B again! Oh, and for double sharps you get to have twice the fun: add the syllable “-is” or “-es” twice. C double-sharp? Cisis. G double flat? Geses. Again, German, which is usually twice as long and cumbersome than English in all aspects, beats the English by a syllable! If you had to re-learn the musical alphabet to dive into Real Books and tutorials, how has your experience been? Please, share your musical alphabet in the comments! Extra points if you even have a different tonal system…. quarter tones, perhaps? The fascinating world of music! as always I love Your Blog. Especially this H, B, Bb, B-Flat -“Thing”. I first learned Clarinet as a child with “C,D,E,F,G,A,H,C” and -is and -es. Later I started playing Guitar and Bass and was confronted with chord-symbols and also with the phenomenon of this “American” B, but it was definitely not a big deal to change – unlike this “DO,RE,…” that´s much harder for me! Oh, and to throw another element into all that, the clarinet transposes to B. I mean Bb! 🙂 Thank you for reading and your comment and liebe Grüsse! I understand what you mean because in France, we don’t use the US standard system too. Here are some examples about differences between French musical language and the standard one: A is La, B is Si,C is Do,D is Ré,E is Mi,F is Fa (easy to remember :D),G is Sol, Sharp is Dièse, Flat is Bémol, Natural is Bécarre, “In the key of A minor” is “En La mineur” etc.. Thank you for your comment. Yes, very different indeed! It sounds like a song, En La mineur. Much more singable than “in A Moll”. Tough to readjust, for sure! You are changing all of them, not just the flats and sharps!French is so melodic… “En La mineur” sounds like a song. Whereas German: “In A moll”. Meh. Love the blog. I actually know what a quaver is and think I heard of a semi-dimi-quaver. I heard it in steel drum class at Solono Community College. I think it was trivia for our entertainment, No idea there were so many issues in reading music in different languages. Thanks! I wonder why in german the B is an H. Since the notes are un an alphabetical order A-B-C-D and so on,A-H-C seem to make bo sense. Any idea how that happened? Kevin Tough answered it beautifully. We were always told a monk (at that time tasked with transcription) made a mistake which carried over. But that is an urban legend. It has to do with the tetrachord theory. Thank you Kevin for answering and sharing the link! This problem comes from way back in history when Greek musicians thought these pitches were different in quality from all the other pitches. When western note systems were developed they organized the notes alphabetic. Some European countries did not. Thank you for sharing this link and answering Mike’s question, Kevin Tough. Actually, I heard another explanation why Europeans use H instead of B. What I read somewhere was that it stems from the Middle Ages where most instruments were stringed instruments and the strings were named in alphabetical order. Just that the second string on one of the instruments was our Bb tone wise. When later another string was added that was tuned to our current B they were at H already. That is an interesting theory. And it is fascinating how music developed further every time cultures collided. Some artefacts that we could have dropped, unfortunately, remained. Made sense to me at least. 😉 And the western world decided to correct that since they didn’t have the same history as in old Europe. Funny how something is put on you radar and you see something about it.. Cool all the interest in this. Totally awesome! That is a great link, datrucks. Thank you for sending!